Since 1999, Cadet Direct has been supplying Army Cadets, the Combined Cadet Force, Air Cadets and Sea Cadets with essential tactical gear. Our cadet kit shop features a wide range of clothing, footwear, equipment, ACF army cadets uniform and other military supplies. We’ve quickly established ourselves as the leading nationwide supplier to the UK Cadet Forces, delivering everything a cadet needs. Featuring a huge selection such as Air Cadet badges, cadet hats, Royal Marines Cadet uniform and army webbing, we are proud to offer an extensive and diverse collection of products. In other words, there’s no better place to go for all your cadet needs. Check out our cadet shop online today and find a wide range of tactical gear, army uniform and lots more at great prices. We have a huge selection of clothing options specially designed for the cadets. As well as official ACF army cadets uniform and genuine MTP issue uniforms, we supply tactical clothing for all UK military personnel use. Featuring thermals, camouflage t-shirts, combat shirts, waterproofs and much more, we also stock cadet clothing accessories like Niikwax cleaning products. Take some time to look through our 5.11 Tactical Clothing range to maintain a covert professional appearance while improving tactical performance. Cadet Direct additionally provides various cadet footwear options, including boy’s army boots. Our specialist range of boots includes British assault boots, cadet patrol boots, waterproof boots, desert boots and MOD boots. Pair with our cadet socks, performance insoles and laces to make sure you’re fully equipped from head to toe. Our cadet kit shop also has a massive range of army boot polish, bulling products and shoe cleaning kit products to uphold high UK military standards at all times. As well as our specialist uniform selection, we offer various other army products. We have a fantastic range of military gear such as tactical torches, ceremonial flags, navigation tools, camping and cooking utensils, combat accessories and survival kit equipment. Our expert range of shelter options are perfect for any outdoor exercise, such as bivi bags, ponchos, tents, multi-terrain shelters and other vital survival tools for all operations and overnight training expeditions. Our highly competitive and affordable prices make Cadet Direct’s products hugely desirable to our growing number of customers. If you’re keen to save even more money on your next piece of cadet kit, uniform or military equipment, we have a clearance zone that’s regularly updated with quality products at outstanding prices. Cadet Direct additionally deals directly with manufacturers to provide one of the UK’s finest mail order services. If you want to learn more about our products, please call us today on 01892 662 230. We have everything you need for the Army Cadet Force, always at the most affordable price. 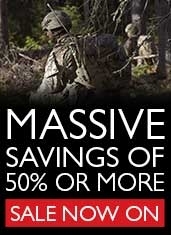 For a huge selection of some of the best army cadets uniform, tactical gear and survival equipment, order today from the UK cadet shop at Cadet Direct. The UK MoD have finally listened to the concerns of the UK cadet forces by launching a range of new British Army ration menus specifically geared towards the tastes of young people. This development was announced amid concerns that traditional 'stews' and 'casseroles' simply don't appeal to a new generation of young people who are used to snacking on fast food rather than traditional family cooked favourites at home. It is understood that the MoD is currently collaborating with a number of food manufacturers and that the roll out of 8 all new British Army ration menus will be completed by Jan 2020. The first tranch of new menus includes 'burger with ketchup 300g' and 'doner kebab with chilli sauce'. It is has been widely anticpated that a 'chicken burger', 'chips with curry sauce' and 'cheese and tomato pizza' menu will shortly join the range. New army ration designed to meet the tastes of new generation of cadets A spokesman for the MOD said '...we have long appreciated that young people deserve better field army rations that are nutritional but above all palatable and the new generation of menus is designed to meet this requirement'. Cadet Direct has been lucky enough to secure a supply of both the burger with ketchup 300g and doner kebab army ration with chilli sauce' boil-in-the-bag menus and these will be available to purchase on it's website from 01/04/19. The newest army ration includes a boil-in-the-bag doner kebab This latest generation military ration does not require re-hydration and comes sealed in an individual, robust foil pouch. The meal pouch is designed to be easy to carry, simple to prepare and can be served hot after immersing in boiling water for seven to eight minutes. In addition, this meal can be eaten cold, making it ideal for night time ops or emergency ration use. We recently tested the new products and you can watch our video below: [embed]https://youtu.be/fohJn8zUhpk[/embed] Watch our video review of two of the new army rations. The burger menu is supplied with a ketchup sachet and sealed slice of cheese and the doner kebab comes with it's on chilli sauce. Wayfarer are a recognised supplier of mail meal rations to the UK MOD and their entire range is also available at Cadet Direct.